Whether you are a man or a woman, naturally red-looking lips improve your aesthetic looks. However, for numerous reasons, one’s lips may get dark and this could look unappealing. Some common causes of dark lips include; cigarette smoking, hormonal imbalance, allergic reaction, stress, using harsh or low-quality lip cosmetics, nutritional deficiencies, excessive exposure to UV rays from the sun, genetics, chlorinated water, sucking or licking the lips often, excessive caffeine consumption, and excessive consumption of alcohol. Quit the bad habit of smoking cigarette as smoking is a major contributory factor to dark lips. Cut down on your coffee consumption as coffee can darken your lips as well as stain your teeth. Cut down on your sun exposure as UV rays from the sun tends to darken one’s lips. You could also opt for lip products that have SPF sunscreens to help protect your lips from the sun. Avoid using lipsticks that contain harsh chemicals. You could use a natural lip scrub to help lighten your lips. Ensure you keep your lips hydrated at all times. Also drink a lot of water daily and include foods with high fluid content, such as cucumber and watermelon, in your diet. Avoid sucking or licking your lips in an attempt to keep them moist. This habit would further dry and darken your lips. Avoid chlorinated water as it could lead to pigmented lips. Endeavor to maintain a healthy diet that contains a lot of vitamins, minerals, and antioxidants. Cumin seeds have a rich nutritional profile that includes flavonoids, minerals, and antioxidants while coriander seeds are packed with volatile oils, fatty acids and vitamins. Deficiency of vitamins/minerals, found in both coriander and cumin seeds, can make your lips dark. For this remedy, roast 100 grams of coriander and cumin seeds in a saucepan, grind them and then add some water to get a paste. For optimal results, consume the paste once a day. This tasty fruit contains polyphenols, antioxidants, and flavonoids that can lighten dark lips. Furthermore, Pomegranate seed has omega-5 long chain polyunsaturated fatty acids which help lock-in moisture in the skin. To make a pomegranate scrub, mix one tbsp of pomegranate seeds with some milk cream and massage it on your lips. Alternatively, mix equal amounts of beetroot, carrot and pomegranate juice, then, apply on the lips once every day. Turmeric is a potent spice found in numerous Indian kitchens while nutmeg works as an antioxidant. When you combine them, you form a powerful remedy for cracked and dark lips. To prepare a paste, mix two tbsp of nutmeg with three tbsp of turmeric and some ghee (clarified butter). Apply the mixture on the lips, let it sit for five minutes and then rinse off. Raspberries contain vitamins, minerals, and antioxidants that help to keep your lips vibrant and healthy. To make a paste, combine one tbsp of raspberry juice, aloe vera, and honey. Then, rub the pasty mixture on the lips and wash off after 10-15 minutes. Apply the paste 3-4 times a week until you get visible results. Beetroot is one of the natural herbs that can give you rosy lips. It also has bleaching properties and also works as an exfoliator. Unlike harsh chemicals, beetroot keeps your lips well-nourished. To lighten dark lips, mix equal amounts of carrot and beetroot juice, apply on your lips for 10-15 minutes and then rinse off with warm water. Alternatively, apply fresh beetroot juice on your lips in a circular motion before going to bed. For best results, use this remedy once a day for about two weeks. Lemon juice is a common ingredient in most skin care products. It can help remove acne scars, dark spots and can be used for skin lightening. To lighten dark lips naturally, you need to squeeze the juice from a fresh lemon fruit and apply on your lips before bed. You can also exfoliate the dead cells by adding some sugar on a slice of lemon and rub it on your lips. Another method is to prepare a mixture of one tsp of lemon juice, a half tsp of honey and glycerin. Spread the mixture on your lips before going to bed. Use this simple remedy daily until you get your desired results. The sugar granules help to remove the dead skin cells while butter works as a moisturizer. To make a powerful exfoliating agent, mix three tbsp of natural sugar with two tbsp of butter. Next, scrub your lips gently, with this remedy, once a week. Alternatively, make a scrub by mixing one tsp of sugar with a half tsp of almond oil and some honey. Use the scrub once a week to obtain smooth, soft lips. Rose water has moisturizing, soothing, and cooling properties which help to lighten dark lips. Prepare a natural lip exfoliant by mixing 3-5 drops of rose water with some honey and then apply on your lips 3-4 times a day. Another way is mixing one tbsp of rose petal paste with one tsp of butter and some honey/milk. Scrub your lips with the mixture twice a week. Other than that, you can add a handful of rose flowers in milk and then grind them to make a paste. To make it more potent, add a pinch of saffron powder and a half tsp of honey. Then, apply on your lips for 15-20 minutes and wash off with warm water thereafter. 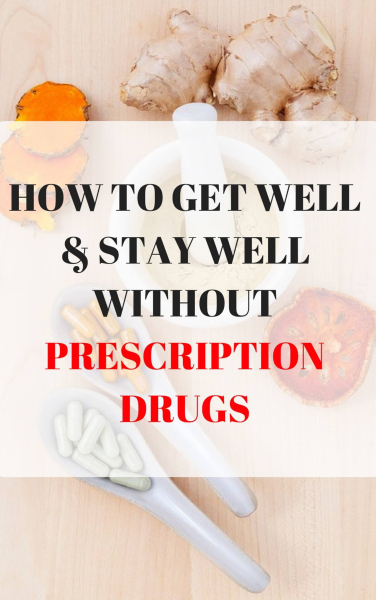 You can use this last remedy two times a day. Strawberries are loaded with skin-lightening properties. Additionally, they contain antioxidants (ellagic acid) which help to remove dark spots and most importantly protect the lips against the harmful UV rays. They are also used in skin care products to prevent collagen destruction and formation of wrinkles. These delicious fruits are especially effective in lightening dark lips associated with smoking. Simply crush 4-5 strawberries and then add two tablespoons of baking soda. After that, apply on the lips before going to bed and wash off the following morning. Almonds are an excellent source of B vitamins, vitamin E, and antioxidants which can help to make your lips blossom. They are also packed with fatty acids and other essential minerals that help to remove scars, blemishes, and rashes. Just mix 5-6 drops of almond oil with one tbsp of honey and apply it on your lips every time they get dry. You can also massage the lips with a mixture of almond and castor oil before going to bed. Besides lightening your skin, cucumber is an excellent moisturizing agent. To lighten your lips, rub a slice of cucumber on your lips. Allow it to stay for 5-10 mins and then rinse off with warm water. Use this home remedy once a day. Honey works as a natural moisturizer and removes dead skin cells. To give your lips a natural pink color, you should apply honey on the lips and allow it to do its work overnight. Then, clean with warm water in the morning. You can also prepare a paste by mixing half a teaspoon of yogurt with some gram flour and honey. Apply it on the lips for 10-15 minutes and wash off thereafter. Perform this remedy once a day. This natural clay is credited for its ability to cleanse and open skin pores. Moreover, it absorbs dirt to give your skin a natural glow. For these reasons, fuller’s earth is an excellent remedy for dark lips. To prepare the pack, mix one tsp of fuller’s earth with some honey. Spread it on your lips for 10 minutes and rinse off with warm water thereafter. Use the paste twice a week until you get the desired results. Another method is to mix fuller’s earth with some water, apply on your lips and allow it to dry naturally. Wash off after it has dried. Mustard oil is loaded with vitamin E, omega-3 fatty acid, and antioxidants which are beneficial to the skin. Before you use the oil, you should do a patch test to see how it reacts to your skin. To lighten dark lips, rub 2-3 drops of mustard oil on the lips every day. You can also mix equal amounts of coconut oil and mustard oil and rub it on your lips. Wipe the excess oil with a moist cotton cloth. All you need is turmeric powder, nutmeg, ghee, and beeswax. Next, heat the mixture under low heat for 15 minutes and then store in an airtight container. Use the lip balm once a day, especially before going to bed. This homemade natural scrub removes dry and dead skin cells to help you attain smooth lips. It involves the use of turmeric powder with milk. Ideally, turmeric will remove the impurities while milk works as a moisturizer. To start, wipe your lips with water and then apply the paste using a soft brush. Let it work for 5-10 minutes, then, rinse off with water. After that, apply some lip balm. Organic extra virgin olive oil is one of the natural yet effective remedies that can help lighten dark lips. It contains vitamins, minerals, and other micronutrients that can give your lips a natural glow. Simply massage the lips with olive oil before going to bed. Alternatively, make a scrub by mixing 3-5 drops of olive oil with a half tsp of sugar. Apply on the lips for 5-10 minutes and then rinse off with water. Use the scrub once a day until you attain the desired look. Potatoes contain natural bleaching agents. 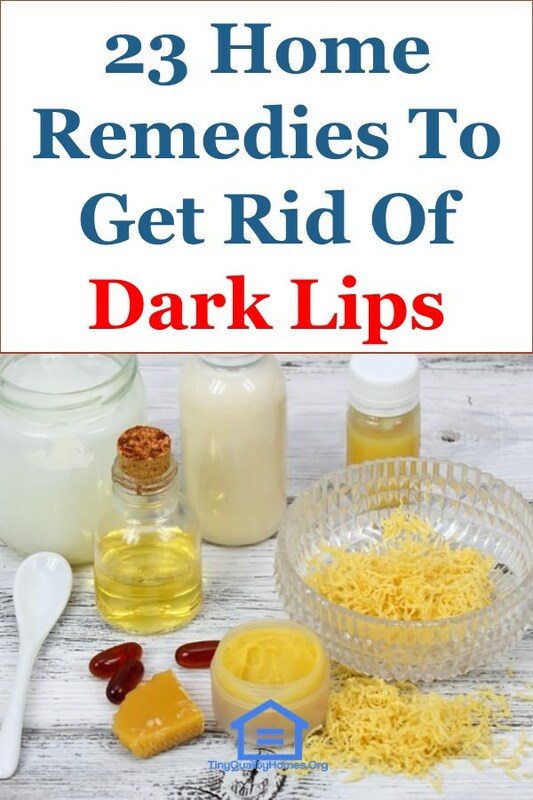 These agents help to reduce the darkness of the skin while lightening the lips. The catecholase enzyme, in potato, helps to turn the lips pink. To lighten your lips, cut a potato and rub it on your lips. For best results, use this potato remedy every night. Aloe vera will not only keep your lips nourished but also moisturized. This miracle herb can as well lighten and soften the skin. To lighten dark lips, rub fresh aloe gel on your lips for 15 minutes and then rinse with warm water. There is some evidence that rubbing some ice cubes on the lips will give them a natural tone. Ice would help prevent chaffing of the lips especially if the lips are moisturized afterward. Simply massage your lips with some ice cubes for five minutes, pat dry and moisturize with a lip balm. You should only use lipsticks, lip color, and lip liner that contains natural substances as opposed to harsh chemical. Also, pick products that can protect your lips from the harmful UV rays. Prolonged smoking can lead to darker lips and gums. Tar and nicotine, in cigarettes, can cause skin discoloration. So, you should quit smoking to restore your natural lip color. Heavy cream will moisturize the skin while tomato works as an astringent. The two form a potent combo for skin lightening and nourishing. For this remedy, make a paste by blending equal parts of heavy cream and tomato pulp and then using the mixture to massage the lips for five minutes. For rosy and smooth lips, use this paste once a day.